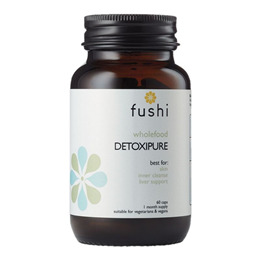 Detoxipure is an advanced natural formula containing active ingredients to cleanse toxins from the body and to help the elimination process to promote vitality and wellbeing. Designed to help the entire digestive system function and to assist liver function, this advanced formula maintains optimum levels of friendly intestinal bacteria, while gently cleansing the bowel. It also contains methionine and rhubarb root to cleanse the body of toxins and pollutants, vitamin B6 and ginger to assist detoxification and garlic, plantain and magnesium to repair and regenerate bowel and liver function. Detoxipure may also help rid digestive complaints such as constipation, wind, and bloating. The synergistic blend of amino acids, minerals and herbs helps to support the liver, kidney and skin while detoxifying waste products. It is the perfect supplement to combine with a detox programme. Hydroxypropylmethyl cellulose (Capsule shell), Aloe Vera Inner Leaf (Aloe Barbadensis), Dandelion Root Extract 5:1 (Taraxacum officinale) Min 90%, Citrus Bioflavonoids (Citrus Aurantium L.) Min 60%, Psyllium Husk Powder (Plantago ovata) Min 95%, Organic Chlorella Powder (Chlorella Pyrenoidosa) Min 50% Protein, Fennel Seed Extract (Foeniculum Vulgare) 24:1, Rhubarb Root Powder (Rheum palmatum L), MSM (Methyl Sulfonyl Methane) Min 99.9%, Apple Cider Vinegar Powder (Malus pumila mill) Min Organic acid 38%, Garlic Extract (Allium sativum L.) 20:1, Min 3.0% Allicin, Activated Carbon (Coconut shell), Ginger Root Extract (Zingiber officinalis) 20:1, Min 5% Gingerols, L-Methionine (Vegan), L-Gluatamine (2-Aminoglutaramidic acid) Min 98.5 - 101.5%, L-Arginine-Alpha-Ketoglutarate (2:1) Min 98.0%. If you are on medication it is advisable to speak to your healthcare professional before commencing a detox program. Pregnant or breast-feeding women should not undertake a detox program. 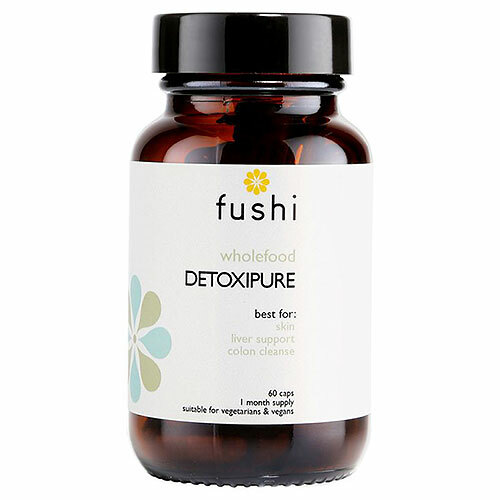 Below are reviews of Fushi Detoxipure - Inner Cleanse - 60 Capsules by bodykind customers. If you have tried this product we'd love to hear what you think so please leave a review. Very good for sluggish bowels - with gentle effect!